Kick off your visit on the 13th (Sat): get the lay of the land with Walking tours, then get interesting insight from Tours, then take in the views from Arthur Ravenel Jr. Bridge, and finally see majestic marine mammals with a dolphin and whale watching tour. Newport News to Charleston is an approximately 5.5-hour combination of taxi and flight. You can also fly; or drive. In July, daytime highs in Charleston are 89°F, while nighttime lows are 75°F. Finish your sightseeing early on the 13th (Sat) to allow enough time to drive to Savannah. Kick off your visit on the 14th (Sun): tour the pleasant surroundings at Forsyth Park, then get some thrills out on the water with a waterskiing or jet-skiing adventure, then race across the water with a speed boat tour, and finally get up close to creatures of the deep with a dolphin and whale watching tour. On the 15th (Mon), you'll have a packed day of sightseeing: stop by Aleksandra's Gift Shop, brush up on your military savvy at Webb Military Museum, then take in the spiritual surroundings of Cathedral of St. John the Baptist, then go on a hair-raising tour with a ghost and vampire tour, and finally take a stroll through Savannah Historic District. To find ratings, maps, reviews, and other tourist information, use the Savannah day trip app . Traveling by car from Charleston to Savannah takes 2.5 hours. Alternatively, you can take a bus. July in Savannah sees daily highs of 91°F and lows of 74°F at night. Cap off your sightseeing on the 16th (Tue) early enough to travel to Miramar Beach. Miramar Beach is a census-designated place (CDP) in Walton County, Florida, United States. Kick off your visit on the 16th (Tue): stop by Waterfront Gifts and Art, then don't miss a visit to Destin Harbor Boardwalk, and then immerse yourself in nature at Henderson Beach State Park. Here are some ideas for day two: enjoy the sand and surf at Crystal Sands Beach, then don't miss a visit to Village of Baytowne Wharf, and then enjoy the sand and surf at Santa Rosa Beach. For photos, ratings, and tourist information, read Miramar Beach driving holiday planner. Drive from Savannah to Miramar Beach in 7 hours. Alternatively, you can fly. The time zone difference when traveling from Savannah to Miramar Beach is minus 1 hour. 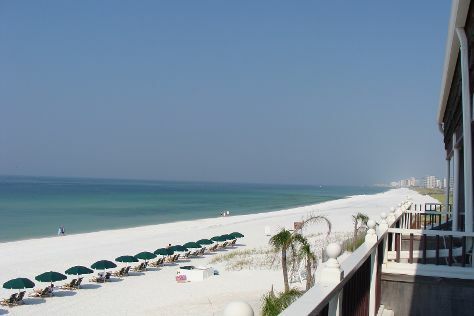 In July in Miramar Beach, expect temperatures between 90°F during the day and 78°F at night. Finish up your sightseeing early on the 17th (Wed) so you can travel to New Orleans. Kick off your visit on the 18th (Thu): contemplate in the serene atmosphere at St. Louis Cathedral, appreciate the extensive heritage of Jackson Square, then admire nature's wide array of creatures at Audubon Aquarium of the Americas, and finally appreciate the extensive heritage of Garden District. Here are some ideas for day two: see the interesting displays at The National WWII Museum, get a taste of the local shopping with Royal Street, and then get to know the fascinating history of French Quarter. For maps, photos, reviews, and more tourist information, read our New Orleans trip planner . Getting from Miramar Beach to New Orleans by car takes about 4.5 hours. Other options: fly. When traveling from Miramar Beach in July, plan for a bit cooler days in New Orleans, with highs around 80°F, while nights are about the same with lows around 80°F. Wrap up your sightseeing by early afternoon on the 20th (Sat) to allow enough time to travel to Corpus Christi. 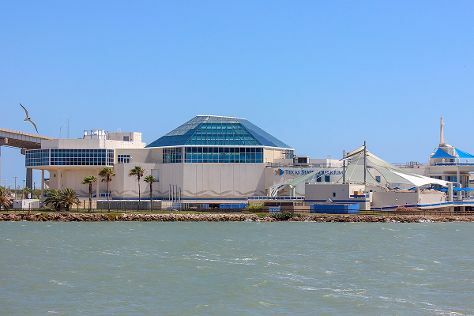 Kick off your visit on the 21st (Sun): take an in-depth tour of USS LEXINGTON, meet the residents at Texas State Aquarium, and then admire the local landmark of Corpus Christi Watergardens. To see ratings, reviews, photos, and more tourist information, use the Corpus Christi online holiday maker . You can fly from New Orleans to Corpus Christi in 5 hours. Other options are to do a combination of bus and flight; or drive. Traveling from New Orleans in July, you will find days in Corpus Christi are somewhat warmer (94°F), and nights are about the same (76°F). Cap off your sightseeing on the 21st (Sun) early enough to travel back home.